I have so much respect for anyone who starts their own business. To come up with a product or idea, test it, market it, send it out into the world – it’s exciting and scary, exhausting and exhilarating. Which is why I was so excited when my blogging buddy Heidi from Young Grasshopper told me that her and business partner Barbie were starting their own line of simple syrups, adorably called Not So Simple Syrup. A lover of cocktails and homemade simple syrups, Heidi sought to create an all-natural product in wonderful flavors that could be sold nationwide. After jumping through all the hoops required for selling food products (i.e. FDA approval), Not So Simple Syrup is almost ready to make a splash in the market. 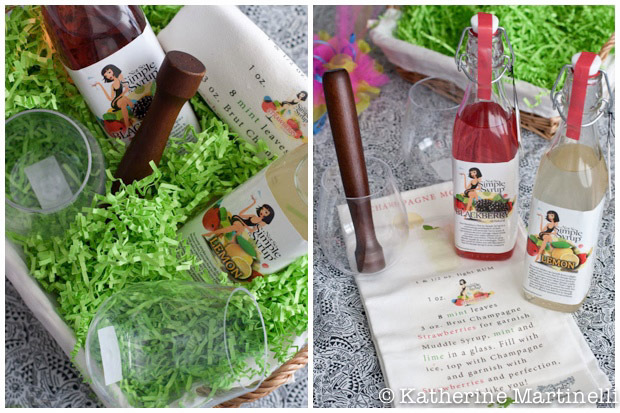 Heidi has graciously offered to send one lucky winner a gorgeous gift basket, including two bit bottles of surprise flavors of simple syrup (like blackberry, strawberry, mint, or lemon), two glasses, a muddler, and a bar towel complete with a cocktail recipe. Be one of the first to taste Not So Simple Syrup – I’ve tried mint, lemon, blackberry, and strawberry and they all liven up cocktails as well as homemade soda. I love cocktails and have played around plenty with homemade simple syrups and mixology. But as I set out to create a recipe using these delightful syrups on a beautiful Fall morning, I wanted something light, refreshing, and, well, non-alcoholic. Which is when I realized that these syrups could be used for lots more than cocktails. My husband is obsessed with seltzer and we’ve had a Soda Stream since long before they became popular. But I haven’t really experimented that much with homemade sodas. 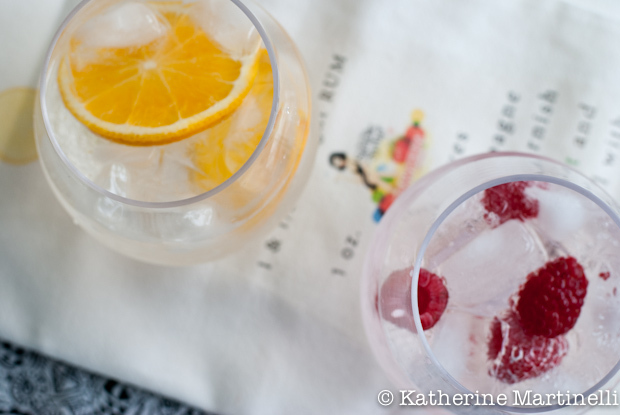 This gave me the perfect impetus, and the result was exactly what I was after – a bubbly, refreshing daytime drink. Beyond homemade soda, you can also drizzle the simple syrups over ice cream or cake (how good does a semolina cake drizzled with blackberry syrup sound?!). And, of course, they’re the perfect addition to cocktails. 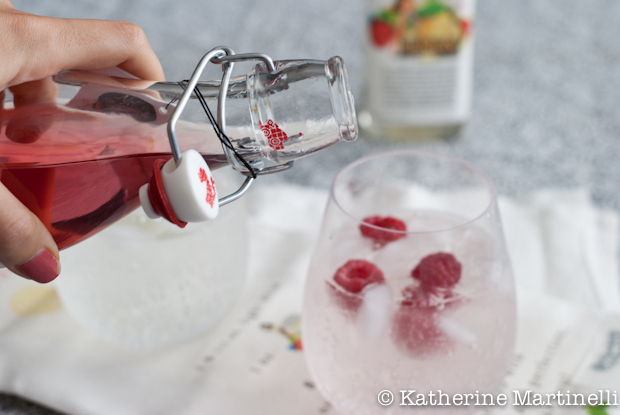 Using flavored simple syrup to make homemade soda at home couldn't be easier and is a refreshing, non-alcoholic treat for kids and adults alike. Fill a glass with ice. Pour in the simple syrup, then the seltzer, and stir to thoroughly combine. Add berries or sliced orange or lemon if you wish. Serve immediately. Also, this giveaway is perfectly timed as it happens to be my blogiversary! I started this blog in September, 2010 and it’s hard to believe that it’s been three years. This sounds interesting. Now, I wonder where can I get that seltzer! Thanks for the lovely recipe. Hope you’re having a great day ahead. Happy blogiversary, Katherine! I love the idea of the not so simple syrup! Bet they make a great, refreshing drink. Wishing Heidi and Barbie all success! How is it being back in the States? I’ve been loving Heidi’s syrups myself but I have a question for you. In the recipe, 3/4 of a cup sounds like a lot. Is that correct or should it be 1/4? Thanks! Oh you are so right!! I’ve fixed that, thank you!!! So exciting! These sound delicious! I love your theme this week Katherine. Thanks so much for hosting! I have loved my soda stream since I bought it 5 years ago. I shlep it around whenever I road trip. I am obsessed! homemade syrups would be lovely in seltzer! What a great post and wonderful giveaway! My husband and I go through A LOT of sparkling water added to simple syrups and other bottled drinks like apple cider. Recently, I’ve been thinking about getting a Soda Stream. Sounds like you and your husband like. So thanks for that plug. Thanks for hosting this blog hop and have a wonderful weekend! Lovely giveaway! I’ve never made my own soda so this is intriguing. Congrats and best of luck to Heidi – what a massive effort to reach this point! We love seltzer too! Really should start making our own. And I love any and all simple syrups! I make all sorts, but it’s nice to know of a good commercial source. These sound terrific! And your soda is out of this world! 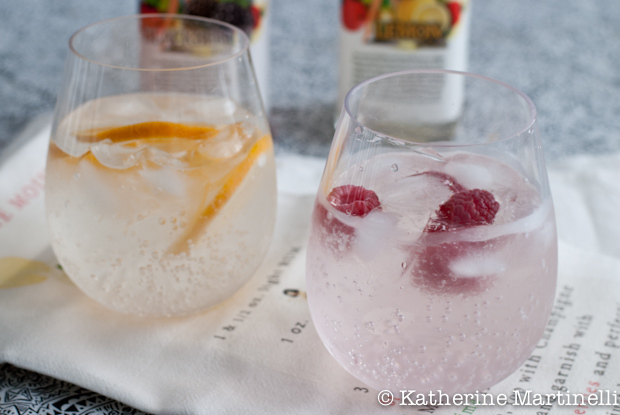 love the idea of using the simple syrups to liven up lemonade and club soda for my 10-year-old who has recently discovered (not so good-for-you) soda. These sound SO perfect for someone like myself who first, loves to craft cocktails and 2nd, loves using a huge variety of simple syrups! They sound delish! Love the giveaway! Happy Blogiversary–and here’s to many more! I think a simple syrup business is a great one right now! i love making them but sometimes it seems that I just never get around to it! what a great idea…would love to try it in our soda stream! I would love to try this. My husband has a soda stream, but I’m never interested in the flavors of syrup I see at the store. I’d love to make my own fruity flavored syrups. I’m trying to get my kids to expand their sweet drink horizons away from soda (not an easy task with teenagers), I’m excited to try something like this that just might do the trick! Happy Blogiversary! Love your delicious creations (yes, I have made several). Nice give-away. Thank you. Love using the slicer and shredder. What a great idea, great recipe. Thanks for the giveaway! I am going to give your recipe a try. Who doesn’t love giveaways. I would like to make pie doughs for the upcoming holidays. So um…. I know it’s right smack dab in the middle of the holidays and this is likely the worst possible time to ask, but…. I know the feeling! Well, minus the pregnancy, husband finishing up med school, etc…. but I know what it’s like to not really be in the kitchen and life to be “a little unsettled.” Hopefully we see you back around this way soon! Looks so delicious. Thanks for sharing this. I get more ideas from it.